We took a drive up into Portland’s South Hills to photograph the city’s most beloved Japanese Maple, which can be found at the city’s Japanese Garden at Washington Park. 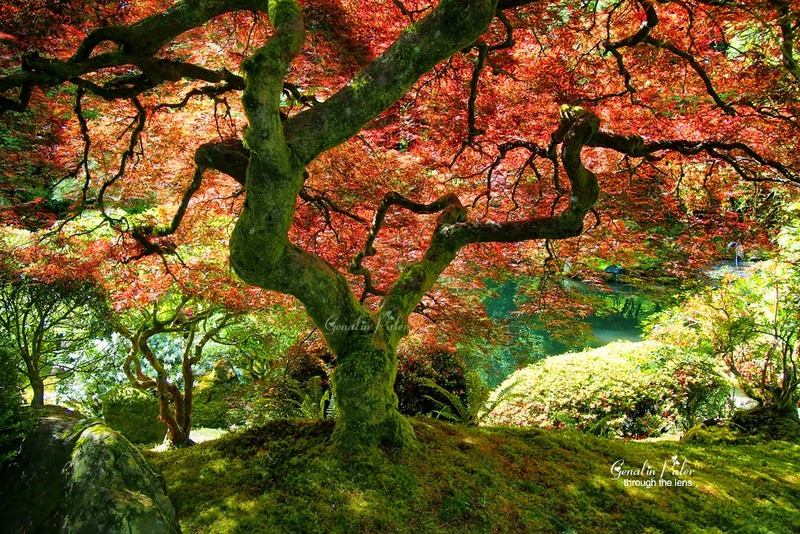 It is said to be the most photograph Japanese Maple tree. From the Japanese Garden, we drove along the Scenic Byway, Washington side. We’ve crossed the Columbia River via The Bridge of the Gods. 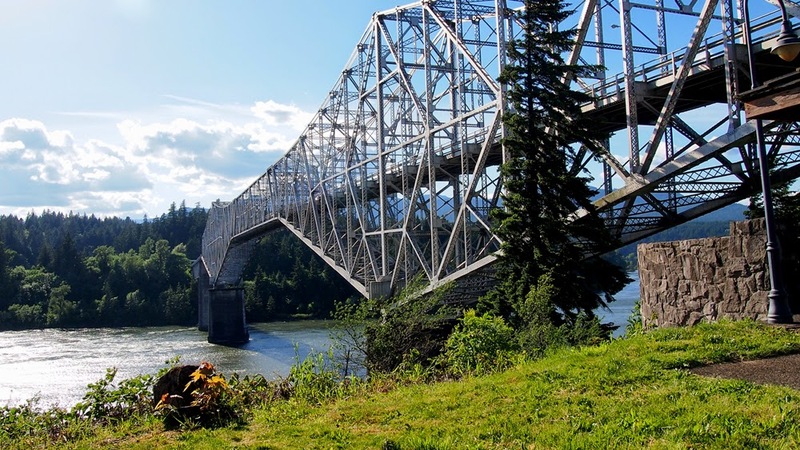 The Bridge of the Gods is a steel truss cantilever bridge that spans the Columbia River between Cascade Locks, Oregon and Washington state. It currently serves as a toll bridge operated by the Port of Cascade Locks. The bridge was completed by Wauna Toll Bridge Company and opened in 1926 at a length of 1,127 feet (343 m). The higher river levels resulting from the construction of the Bonneville Dam required the bridge to be further elevated in 1940 and extended to its current length of 1,856 feet (565 m). The bridge is named after the historic geologic feature also known as Bridge of the Gods. Along scenic highway 14 is the Maryhill Museum of Arts. One of its permanent exhibition of international chess sets is a perennial favorite among museum visitors. A 1957 exhibit curated by the museum’s director at the time, Clifford Dolph, led to the creation of this permanent exhibition, which today includes about 75 sets representing the many countries, cultures and periods in which chess has been played. These sculptures in miniature present a fascinating intersection of art and chess, and are beloved by visitors of all ages. Here are some of my favorites. Couple miles away from Maryhill Museum, on a lonely bluff overlooking the Columbia River and the town of Maryhill, Washington, is a full-size replica Stonehenge. An almost identical copy of the more famous English Stonehenge, it was built by Sam Hill, a road builder, as a memorial to those who died in World War I. Dedicated in 1918, the memorial wasn’t completed until 1930. Hill passed away soon after he finally saw his masterpiece completed. He was buried at the base of the bluff; but, because he wished to be left alone, there is no easy path to his resting place.